Protect your home from rats and other winter pests by keeping a reliable pest control service ready on call. Brisbane & Sydney Pest Control. The beginning of the cold season is yet another problem to look out for pest infestation and pest prevention. What’s become rampant during winter is the invasion of rats and other rodents in residential houses and commercial facilities. Rats are notably stealth in their behaviors, but they are well-known to spread diseases and damage our valuable properties. 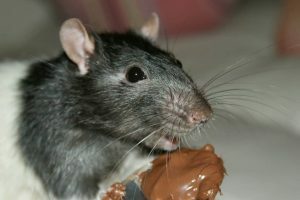 Rat attacks can be quite unpredictable, but their presence can give a dead giveaway through their droppings/feces, and chewed or nibbled fragments on the floor. These pests and most other rodents are always attracted to warmth, darkness, and any place as long as there is access to food and water – which are all ideal to raise their young. They are found to take refuge in between clusters in the hallways or garage, or in the basement. Rats mostly find entry access through unsealed cracks and gaps in the house and tunnels, and even through chimneys and toilet bowls! Their ability to navigate through small, tight holes has given them the advantage to get in any property or house with lesser effort. Additionally, the change in weather would normally drive these pests to look for a place for shelter and protection against the cold – and your home can be an ideal target! It is important that we take note of any pest invasion possibility and thus, necessary precautions must take place to prevent further loss and pest damage. How to prevent rats and rodents? Proper sanitation – Properly maintained and clean spaces are less attractive to rats and other pests. This includes following sanitary protocols around the house such as proper disposal of waste, storing food in closed containers, cleaning leftovers, organizing, and getting rid of a knot of stuff anywhere in the house. Eliminate Pest shelters – As part of appropriate pest prevention, finding out possible pest shelters and hideouts is of great importance. Rats can be found nesting anywhere inside your house or property, and the population can grow tremendously in no time if not controlled. Pest Control – There is no other sure way to keep and eliminate away pests more efficiently than to have a reliable pest control expert to do the job. Part of it is to perform a rigorous pest inspection to check for signs of infestation and then followed by a pest treatment. After which, a preventive pest maintenance must be carried out from time to time to prevent other pest infestation in the future. Pest control helps you get rid of these unwanted pests with proactive tools and products. A good pest control service is one that is backed with Integrated Pest Control and Environmental Pest Management practices, ensuring all operations are performed with respect to human health, wildlife, and the environment. Catering to all types of clients in Brisbane and Sydney, Australia, Trusted Pest Management has been delivering pest control services for years to solve pest infestation issues in residential and commercial properties and government facilities. What our clients love about us is the green method we consistently follow in all our operations. Rest assured that we only use a child, pet, family, and environmentally safe tools and products to prevent a hazard to our health and nature. We love protecting you and your home from pests. Call us for a free pest inspection today!